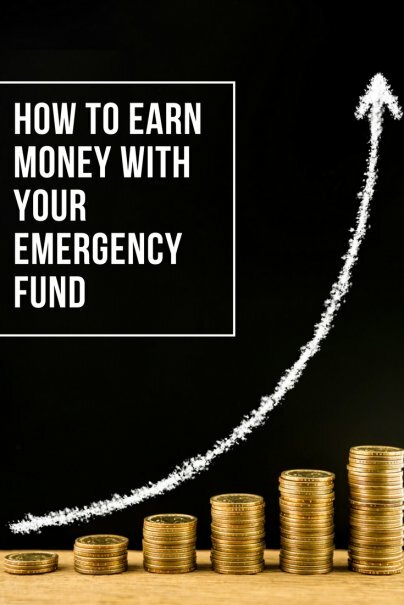 There's one problem with an emergency fund, though: You need your funds to be liquid so you can quickly get at your dollars when you need them. You also need your fund to be safe and stable. You don't want a blip in the stock market to drain those emergency funds. Because of this, you'll most likely stow your emergency fund in a savings account that pays out a tiny amount of interest. This is unfortunate; it'd be nice if the cash sitting in your emergency account was actually earning some money of its own. Here's a bit of good news: There are two good options for people who want to earn money from their emergency funds. The key, though, is to remember that the primary goal of your emergency fund is to act as a financial safety net. Earning a higher amount of interest is a secondary goal. If your emergency fund dollars are sitting in a traditional savings account, they're probably not earning much interest at all. Most banks today pay about .05 percent interest on their savings accounts. This is tiny. To put it in perspective: If you have $20,000 in your emergency fund, at 0.05 percent interest, that amount would grow to just $20,010. That's right, that .05 percent interest rate would earn you $10 in one year. Hardly inspiring. A better option might be to hunt for a bank offering what is known as a high-yield savings account. As the name suggests, such accounts offer higher interest rates. The rates with these accounts still aren't particularly impressive. Most high-yield savings accounts come with interest rates of about 1 percent. That won't make you rich, but it is better than .05 percent. A high-yield savings account also meets the main requirement of an emergency fund — it's not volatile. Just be careful to read the rules of your high-yield savings account. Some might require a minimum balance. If your balance drops below this figure, you might get hit with a fee, cutting into your savings. Make sure, too, that the money in your high-yield account is truly liquid. You want to be able to access it quickly whenever you need it. Another option is to invest your emergency fund in a short-term bond fund. The benefit of these funds is that they are far less risky than traditional mutual funds or stocks. At the same time, they enjoy much better annual returns than you'd be able to get by leaving your emergency fund in a savings account. You can find short-term bond funds offered by investment companies such as Fidelity and Vanguard. These funds are also liquid. You can withdraw dollars from them whenever you'd like, which is ideal for an emergency fund. Annualized returns will vary, but you can expect your money to earn from 1.7 percent to 3.6 percent every year, according to a recent analysis from Investopedia. Again, this is a much better return than what you'd get from that interest rate of .05 percent with a traditional savings account. There is some risk, though, even with short-term bond funds. Again, your annual returns might fluctuate. If you want more certainty with your emergency fund, stashing your dollars in a savings account might be a better choice for you. No matter where you invest your emergency fund money, remember that stability and quick access remain the keys. Safety matters the most with an emergency fund. Sure, you'd have the potential to earn much more on your emergency fund if this money were invested in a mutual fund, but you'd also have the potential to lose this money. Don't let your quest for more earned interest lead you to investment options that are too risky for an emergency fund.